Everyone loves a freebie, right!? If you’re a veteran and happen to be vacationing in Hawaii over Veterans Day, you’re in luck. As a small token of appreciation for your service, you’ll find all sorts of free meals/goods/services at a discount or even free on this all-important holiday. But, you have to know where to look! Uber: Get a free $10 added to your account with coupon code ubernoshave1 at Uber.com for a limited time. Baskin-Robbins: BR will donate 11 cents to the USO for every ice cream scoop sold in U.S. shops on Veterans Day. Gordon Biersch: Veterans and active military get a free appetizer on Veterans Day. IHOP: Service members and vets can receive free red, white and blue pancakes on Veterans Day. Not all locations are participating. Active duty military members, veterans and reserves can get a free appetizer or dessert on Nov. 10 and Nov. 11. Outback Steakhouse: Vets and active duty personnel can get a free Bloomin’ Onion and beverage on Nov. 11 and take 15 percent off the entire check from Nov. 12 to Dec. 31. Red Lobster: Active duty military members, veterans and reserves can get a free appetizer or dessert on Nov. 10 and Nov. 11. Ruby Tuesday: All veterans, active duty and reserve military service members with valid military ID can enjoy one free appetizer (up to a $10 value) on Veterans Day. Offer is valid at all Ruby Tuesday locations, excluding those in Guam, Hawaii, Manhattan, airports or outside the U.S.
Yard House: Active duty military and veterans receive a free appetizer all day on Nov. 11. Olive Garden: Eligible customers who come in to an Olive Garden on Veterans Day can get a completely free meal paid in full by the restaurant which includes an entree from a special Veterans Day menu, and unlimited soup or salad and garlic breadsticks. Denny’s: Stop by Denny’s on Friday, November 11, 2016, and all active, non-active, and retired military personnel can get a free Build Your Own Grand Slam Breakfast from 5:00 AM to Noon. Cattle Company Steakhouse – Pearl City, HI. On Veterans Day, all veterans and active duty personnel will receive a free Top Sirloin Steak Dinner, with home-style mashed potatoes,fresh broccoli with garlic butter and sweet molasses bread. Offer is good Veterans Day November 11th 2016. UFC GYM – Honolulu, HI. All weekend long, veterans, active duty, and their families are invited to use the facility for free. Offer is valid with ID and proof of service, Nov. 11 at 12:00 AM to Nov. 13 at 11:59 PM. 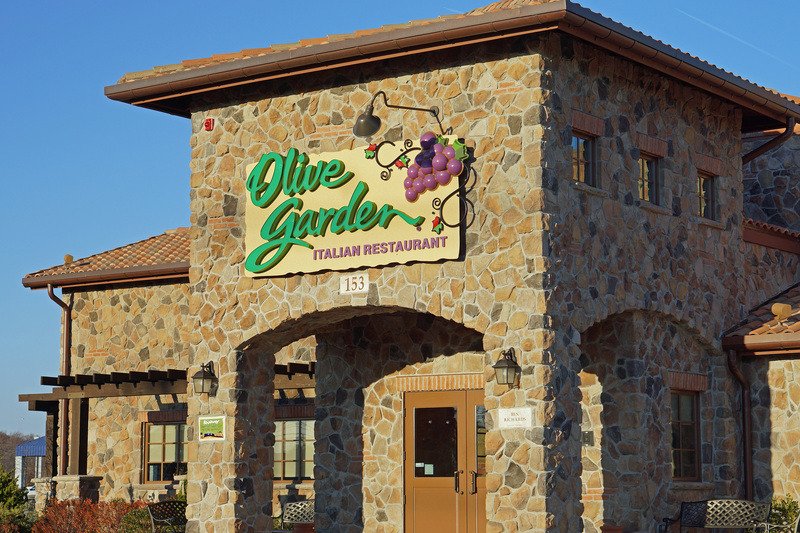 Eligible customers who come in to an Olive Garden on Veterans Day can get a completely free meal paid in full by the restaurant which includes an entree from a special Veterans Day menu, and unlimited soup or salad and garlic breadsticks. Wet’n’Wild Hawaii – Kapolei, HI. On November 11, 2016, veterans, active duty, retirees, and reservists can receive discounted admission tickets for $11.11 plus tax. Veteran may purchase up to four discounted tickets. Present your military ID or proof of service at the box office between 10:30am – 4:00pm. And, remember, Veterans Day or not, you can always find deep discounts on Hawaii activities through Hawaii Aloha Travel. From ziplining to surfing to submarine excursions, you can always find a great deal through Hawaii Aloha Travel! If you’re visiting over Veterans Day in Hawaii, make sure you take advantage of these discounts and freebies. And, if you don’t know it already — thank you for your service!